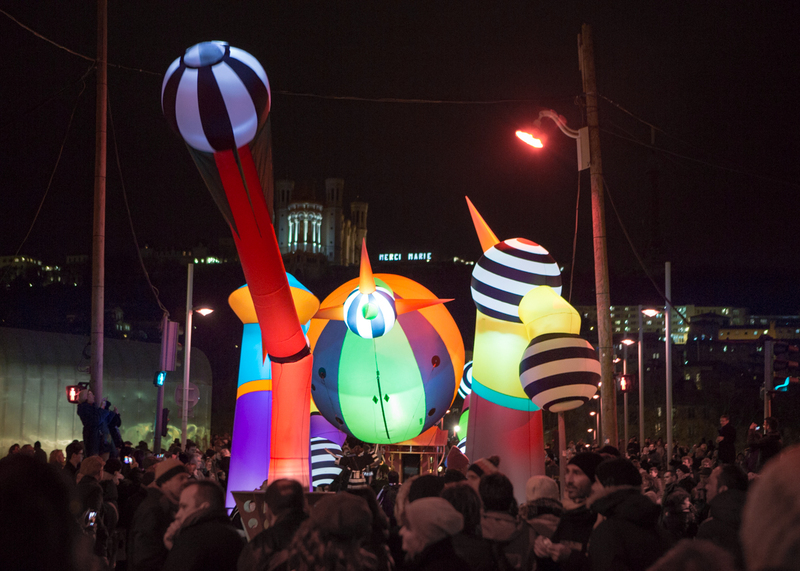 The Festival of Lights in Lyon was held on December 7, 2017 until December 10, 2017. 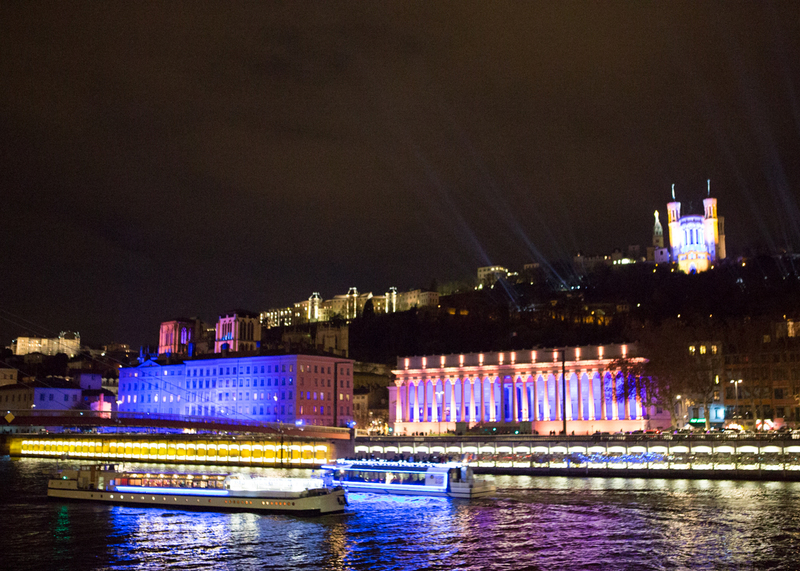 The famous Lyon Festival of Lights originated in the 17th century when the Great Plague engulfed in France in 1643, the people of Lyon prayed in the churches and hoped that Lyon would not be affected by the disease. The city council of Lyon, the mayor and the aristocratsd believe that the Virgin Mary blessed them making it so that they were no longer affected by the Black Death. 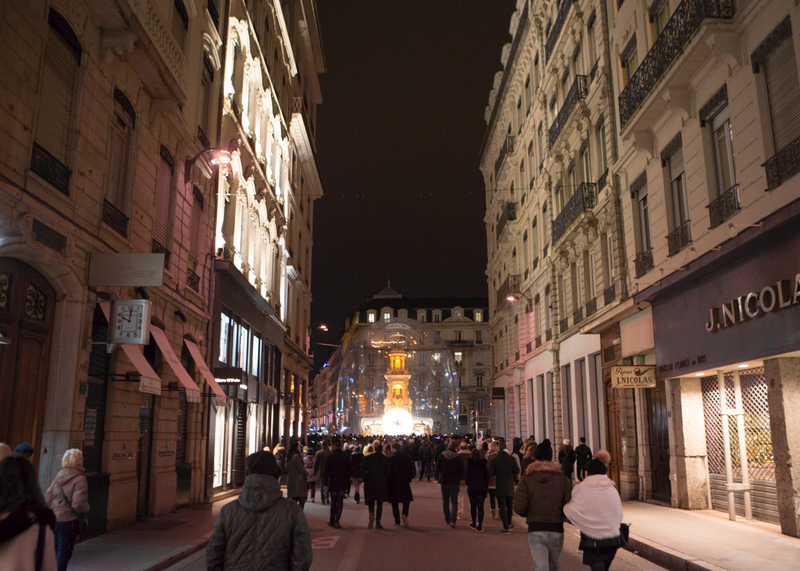 Ever since then, on December 8, the people of Lyon place candles to express their gratitude to the Virgin Mary. 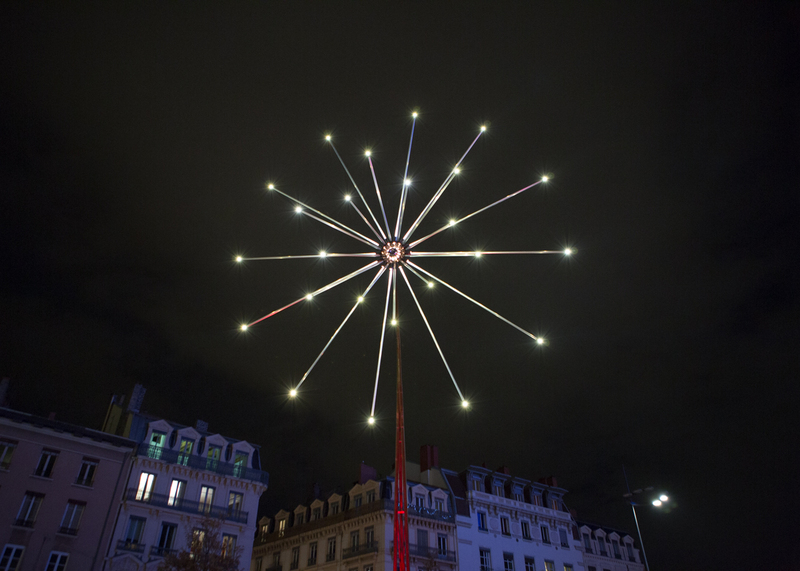 This usual gratitude was officially inaugurated by the government in 1989 and then soon beame the Lyon Light Festival, occuring for 4 days each December. Lyon City Hall and Saint-Jean Basilica at Place Bellecour, illuminated by a gorgeous light feature. 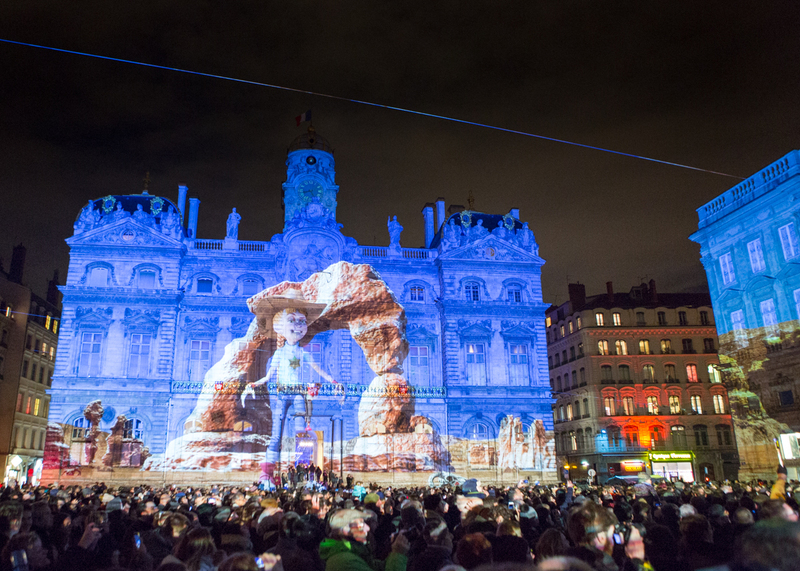 The exterior walls of the town hall and the art gallery are ingeniously utilized, and the la place des Terreaux turns into an outdoor 3D cinema. Huge balloons full of color and light decorate the river bank. Performing arts designed and directed by Picto Facto involving actors, dancers and musicians, have drawn attention from all over. 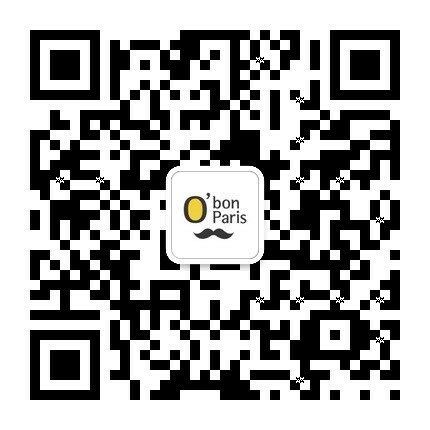 Say kisses in multiple languages: "kiss the person you want!" 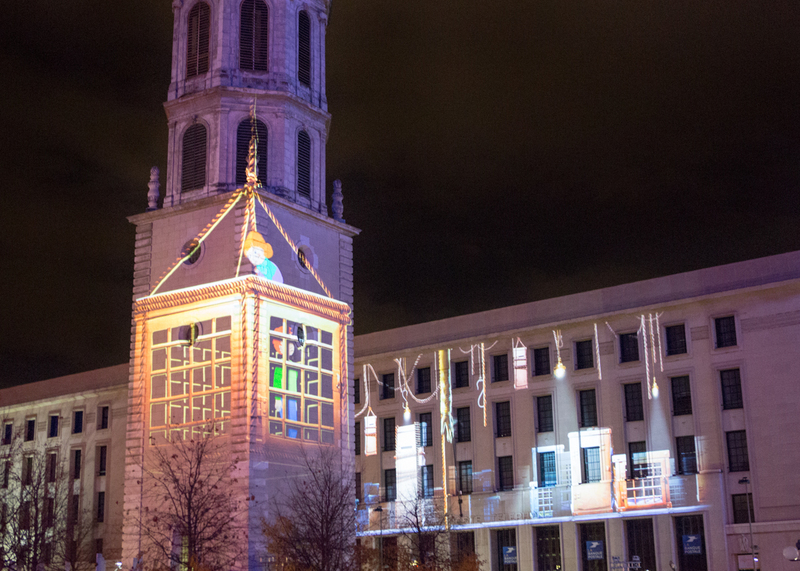 Every year the installation of Mount Fourvière is noteworthy, because the mountain cathedral is located at a height, is the most prominent place in Lyon. Standing along the river is the best place to enjoy the festival, with panoramic views across the street. 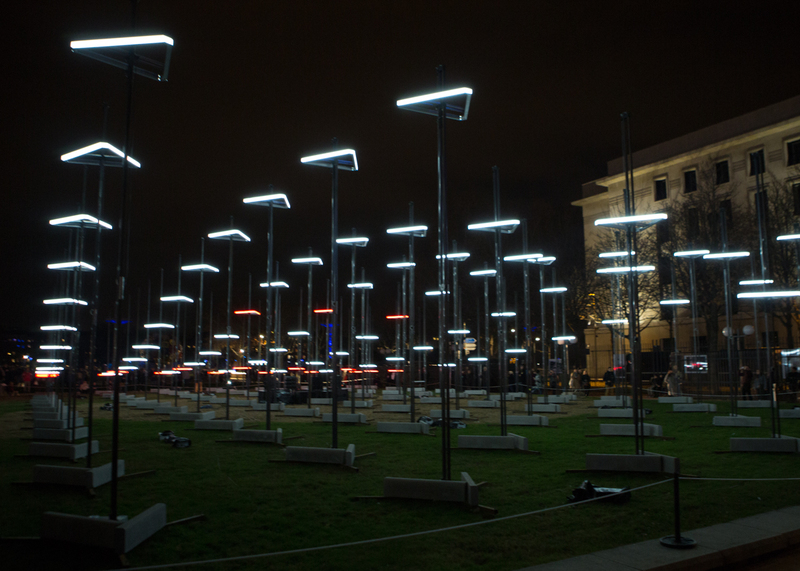 The device cluster combines light with music, and both the cathedral of Saint-Jean and the court of Palais de Justice are lighting a scene of time and space. The vertical lines of all the symbolic buildings on the hill make up a huge painting. 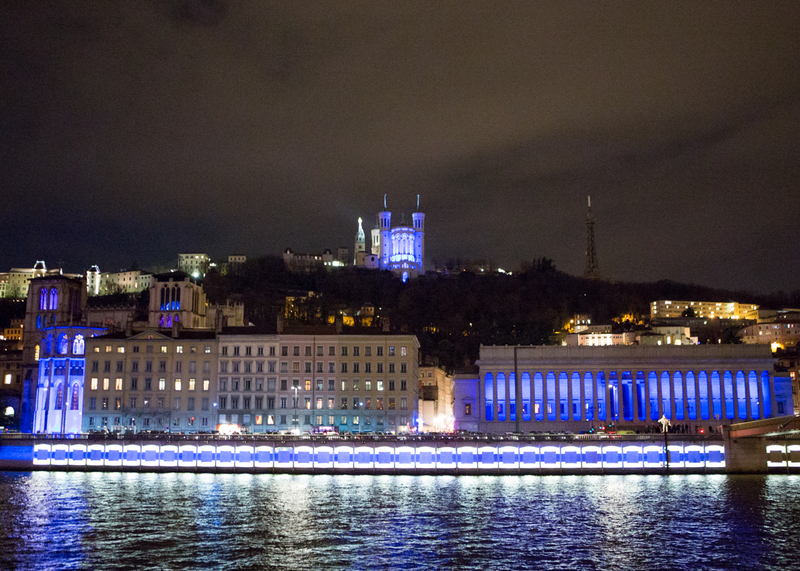 La Basilique Notre Dame de Fourvière, known as the landmark of Lyon, catches everyones eye during the festival. 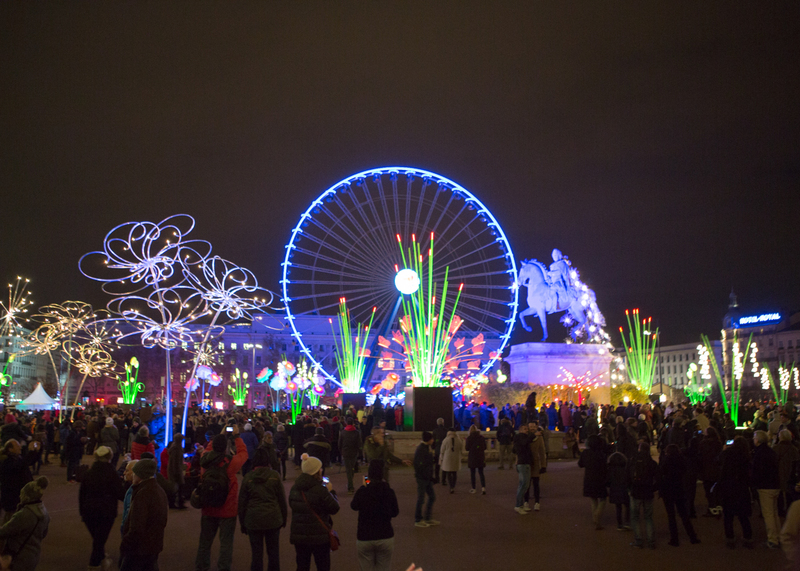 This is where the statue of Louis XIV is located, on the Place Bellecour right in the center of Lyon, displaying flowers in light sculptures and a large Ferris wheel. 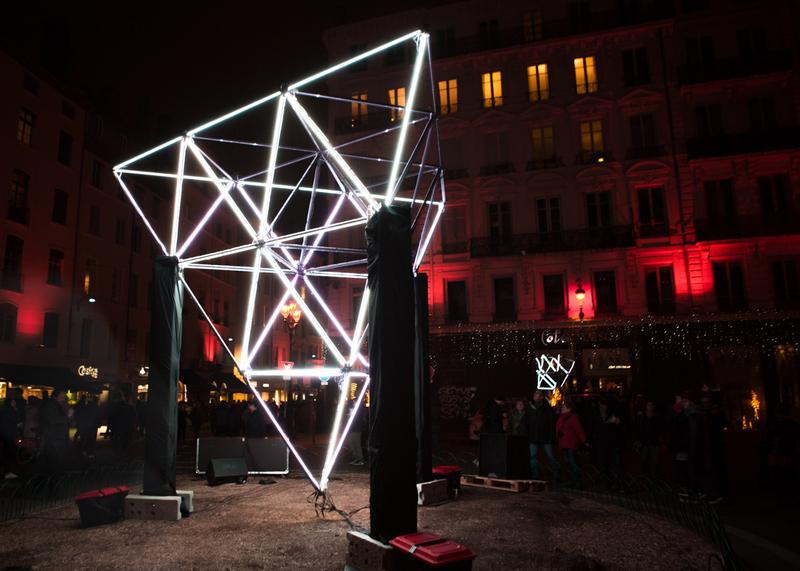 This set of devices is located in the most representative Lyon Bell Square. This year's Plaza incarnation under the light of the garden, featuring all kinds of giant bouquets and flying butterflies, many think of Alice in Wonderland. The equestrian statue of Louis XIV hidden in the garden is also covered by a beam of light, the secrets of this garden await your discovery. 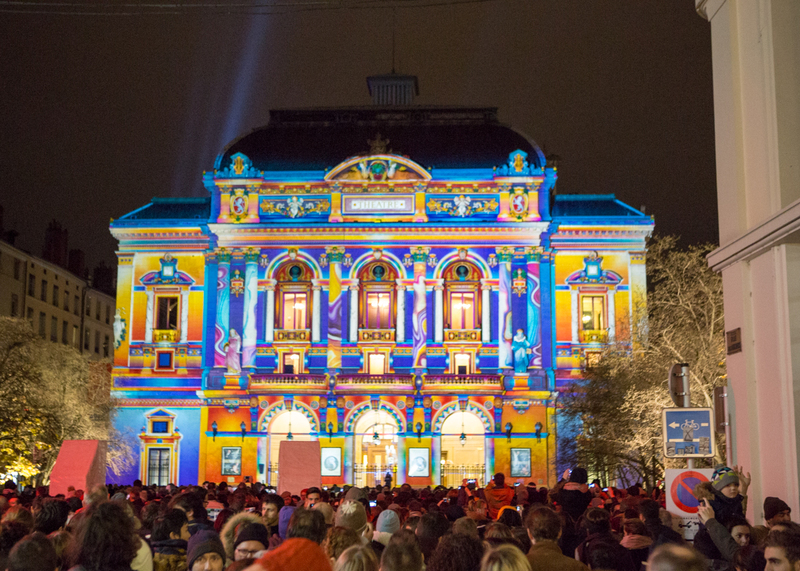 This projection on the facade of the Grand Post, located next to the bellecour plaza allows room for creativity. With the tall clock tower in this building, you can project various scenes and characters. The same sound as broken glass, from bass to treble, the light moving according to the machine's voice, moving up and down like a group of dancers, turning the color red. 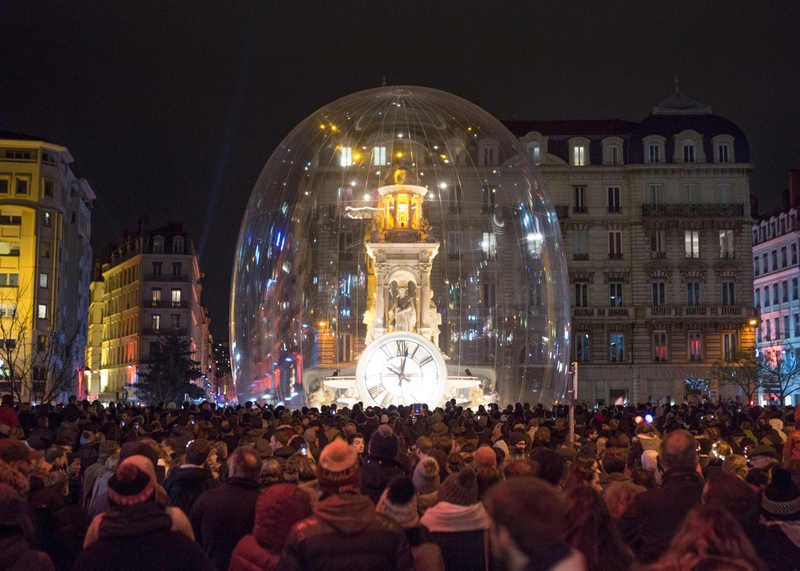 The fountain at Place des Jacobins is set inside the clock. 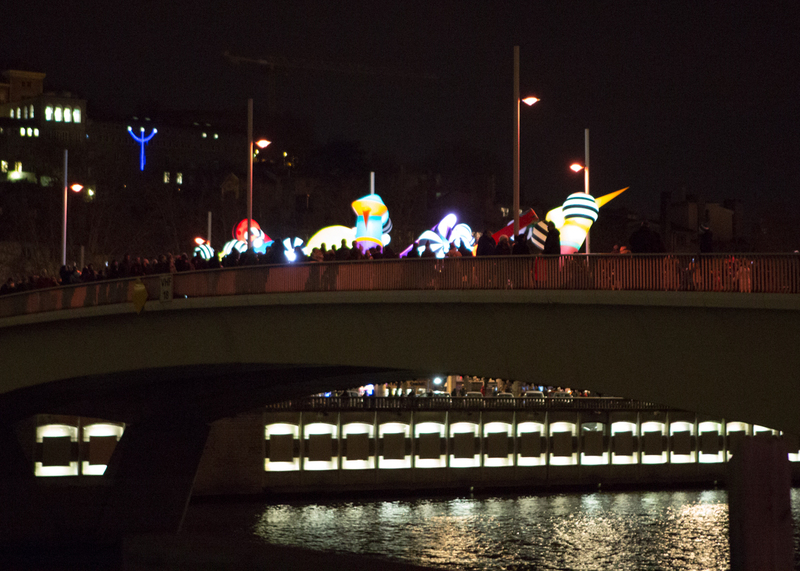 Every fifteen minutes there is a spectacular display of lights and music. Light and shadow cast on the large facade of the Théâtre des Célestins. 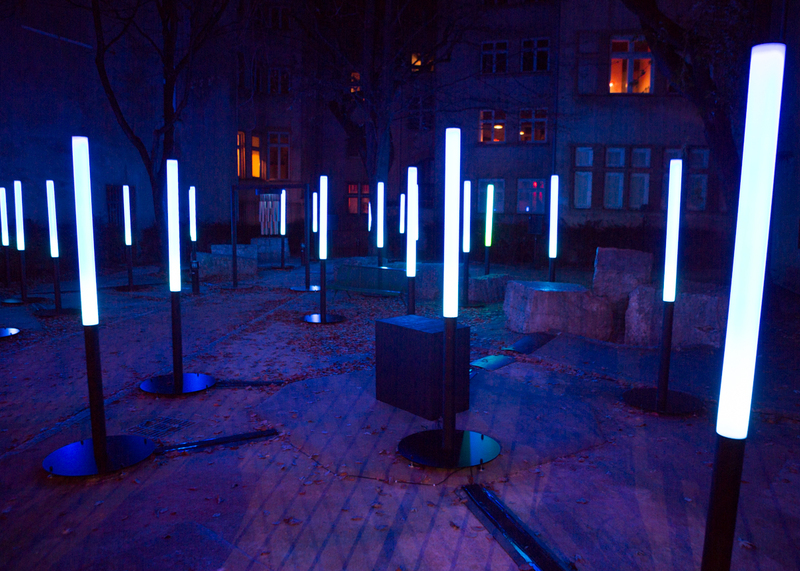 There are many installations of beautiful art works, one night doesn't give you enough time to appreciate it all.